Motor InsuranceRHB Motor Insurance goes the extra mile to keep you safe on the road. 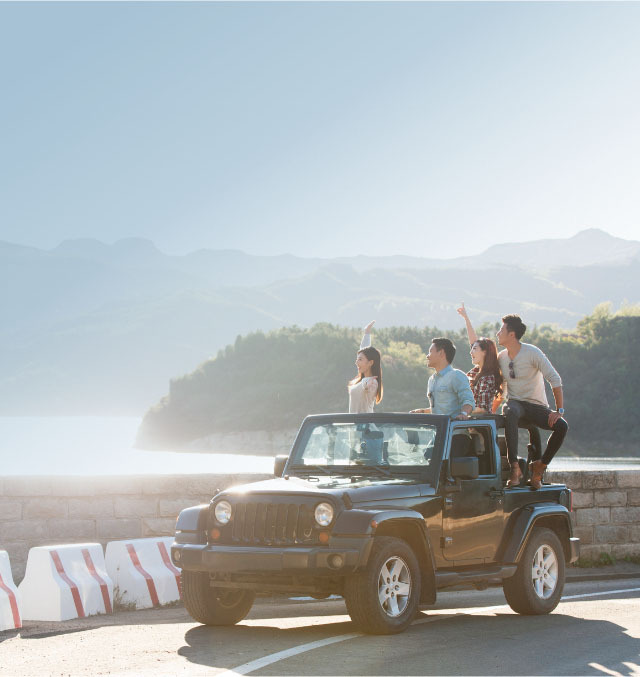 Stay on the road with our best plans. Low premium rates from RM4.42 per month. Enjoy low premium of only RM9.43 per year. * Premiums shown are subject to 6% service tax. Please take note that RM10 of stamp duty shall be charged. Covers accidental death while riding a motorcycle, up to RM6,000. Covers permanent disablement arising from an accident while riding a motorcycle, up to RM6,000. Upon the accidental death while riding a motorcycle, up to RM500. This plan shall cover rider aged between sixteen (16) years to seventy (70) years (both ages inclusive). This policy is supplementary to your existing Motor Insurance. Whether your car is currently insured with RHB Insurance Berhad or not, we’ll pay out in addition to any other policies you hold. You can now enjoy better benefits with our enhanced Sum Insured which is up to RM240,000 for accidental death and RM2,000 for the medical expenses of your Authorised Driver. We’ve made choosing a plan even better – simply select from any of our 4 plans depending on your need and affordability. Premium rates start from as low as RM4.17 per month. Get extended cover against riot, strike and civil commotion without paying any additional premium. No proof of liability is required – payment will be made irrespective of negligence of the Authorised Driver. If you need help in making a claim, our Customer Relationship Centre is on hand to guide you through it. Any Authorised Drivers and / or Passengers aged between one (1) year and seventy (70) years (both ages inclusive). 10% discount when you purchase or renew motor insurance via the Mobile App. In the event of car breakdown, you may enjoy our 24-hours emergency towing services available within Malaysia, Brunei, Singapore and Thailand. Toll charges are fully covered for incidents that happen anywhere within Malaysia. You are covered with 24-hour worldwide personal accident coverage, up to RM100,000 for accidental death and permanent disablement. You are entitled up to RM200 for car delivery or taxi ride to pick up your car from the workshop. Vehicle owners who are aged between seventeen (17) years to eighty (80) years.